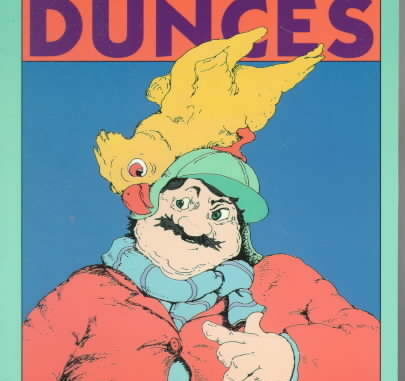 John Kennedy Toole’s novel, “A Confederacy of Dunces,” is a fictional story set in New Orleans. With Ignatius J. Reilly’s awkward and yet somehow practical adventures set during the early 60’s, his comical rage on society is bent on the destruction and demeaning of all things modern. Ignatius J. Reilly lives with his mother, Irene. Stuck in a rut of self indulgence and unemployment, Ignatius is as happy as could be but his mother feels quite the opposite. The story begins with Ignatius being “assaulted” by Detective Mancuso, a New Orleans policeman whose main job is to pick up suspicious characters, and there is none better than Ignatius. After causing a rather large fuss in front of DH Holmes, Irene intervenes on her large son’s behalf, eliciting a response from the onlooking bystanders to rally behind them. They flee the scene and relax at the Night of Joy bar, only to staggeringly leave and crash their car into a building. After confronting Ignatius about his constant nagging and complaining, Irene comes to the conclusion that he needs to find a job. Ignatius, utterly distraught by the thought that a thirty year old living with his mother should have to work, retreats to his room and scribbles on his Big Chief notepad and expresses some of his constant grievances against society. Unfortunately for him however, the next day he begins to search for a job. As Ignatius wobbles from inconceivable job to inconceivable job, he lands in such outlandish positions as a Levy Jeans filer and a Paradise Hot Dog vendor, only to cause a fuss over ridiculous terms and be removed from the work force once more and continue his job romp through New Orleans. As I read A “Confederacy of Dunces,” I could not help but laugh out loud. The situations in which Ignatius becomes stuck in and how he works his blunt magic to wriggle free is simply comical. The humor does not come directly from the preposterous events, but from the clever writing and references to society. If only John Kennedy Toole had not taken his life, I am positive that many other classics would have dripped off his pen to grace the pages of literary history. Daniel Binet is a junior in the Gifted program at Hahnville High. He enjoys soccer, music, art, and social experiences. He also enjoys surfing, snowboarding, rock climbing, and watching the Red Sox kick the snot out of the Yankees. Daniel plans on attending an out of state university to study and major in civil engineering.